“Star Wars” is not only a name of a movie. In U.S.A. and all worldwide, it have already became the pronoun of another kind of science fiction culture. This year (2005) is the fifth anniversary of Tatooine, EP3 will also come on in this year. 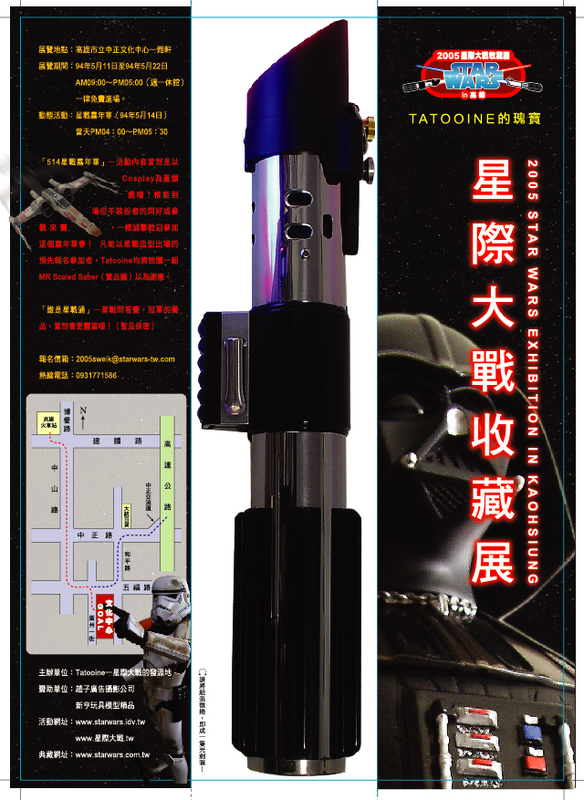 To honor the last episode of Star Wars series which are in the leading position of science fiction films in the past 30 years, and to make an opportunity for people who lives in Taiwan to visit a free exhibition of Star Wars props and collectibles (The same kind of exhibition always needs to charge in U.S.A, Japan or U.K.), Tatooine decides to apply to Kaohsiung Culture Center for “Ya Gallery” to be the exhibition site of “Treasures of Tatooine-Star Wars Exhibition”. In the reality society with grey, a children story with absolutely black-and-white has became a dream. Although there are tense plots, star dogfight, and duels of lightsaber in the Star Wars movies, but the main principle – Dark Side never compare with Light Force" always remains. It’s a simple concept, but an aspiring place to modern peoples. It’s also the most charming part of Star Wars culture. 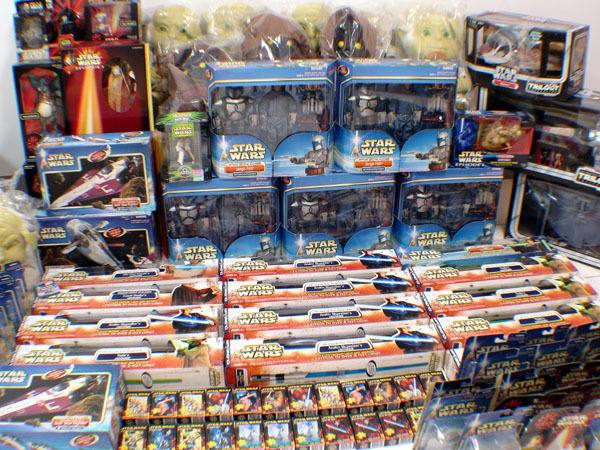 Behind the dream kingdom, Star Wars was established with cultural factors of music, animation, technology and art. Countless off-stage workers create the six episodes of Star Wars with their dreams in the heart. 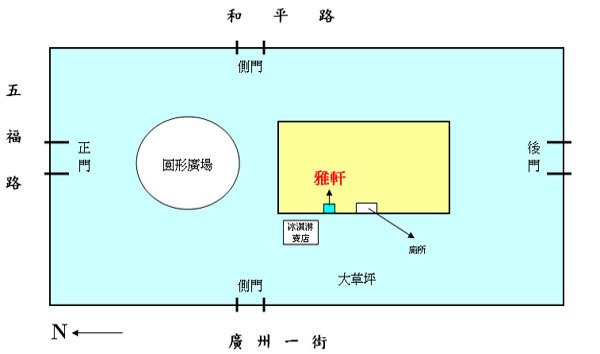 Therefore, this exhibition is not only a display for passing glance. 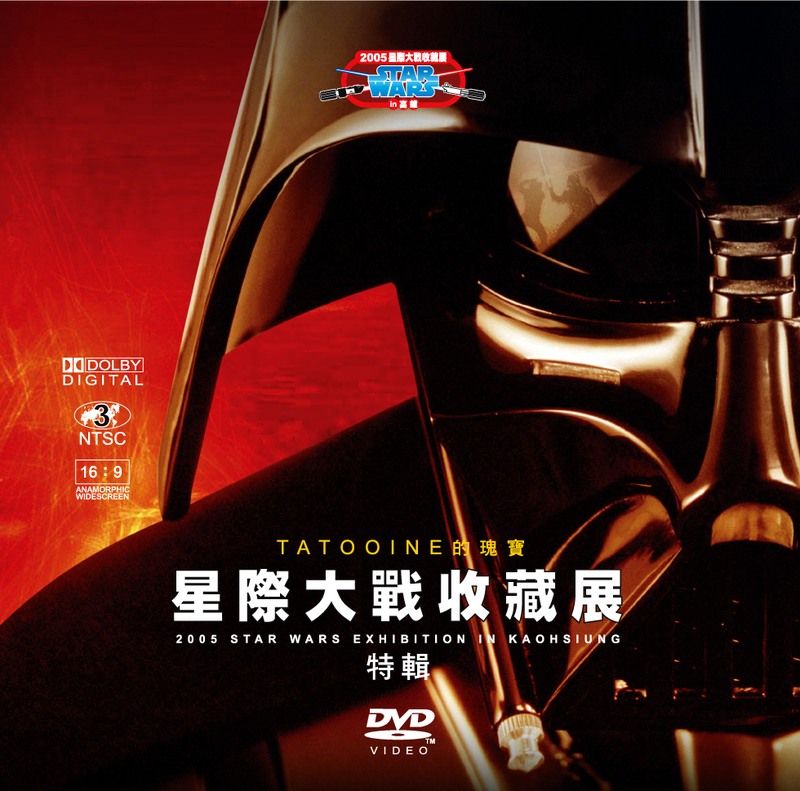 Tatooine hopes visitors can realize the inside contents of these great epic movies from this exhibition and find their dreams of childhood back. If so, this exhibition will be meaningful. 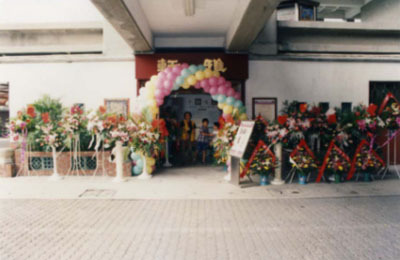 Exhibition： The schedule of 2005SWEIK is 2005-5-11~2005-5-22. 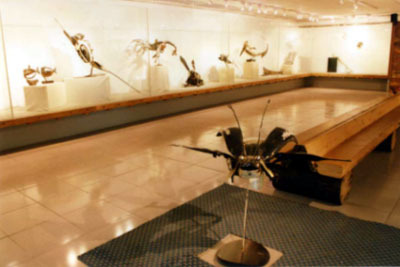 Admission free and Open daily from 9 AM to 5 PM (Except Monday). The exhibits were sorted to three classifications: Props, Collectibles and Life Size. 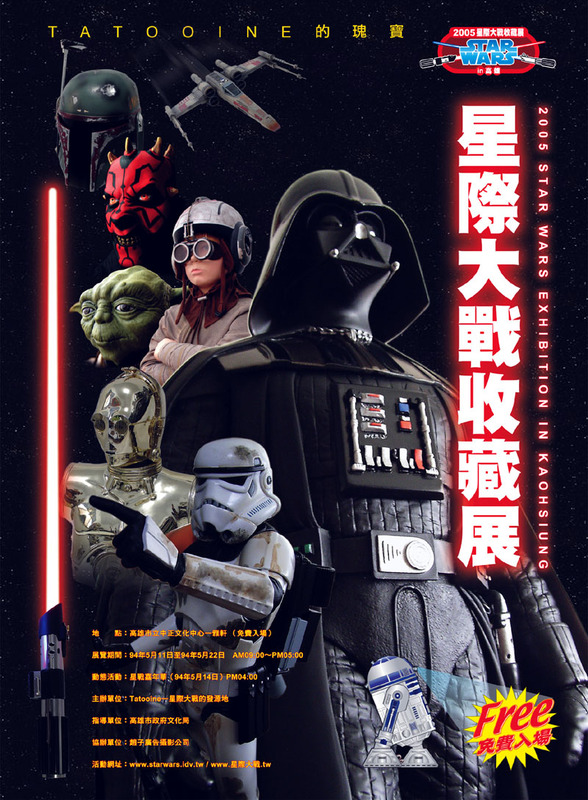 Exhibits will be displayed with the order of Star Wars movies series. 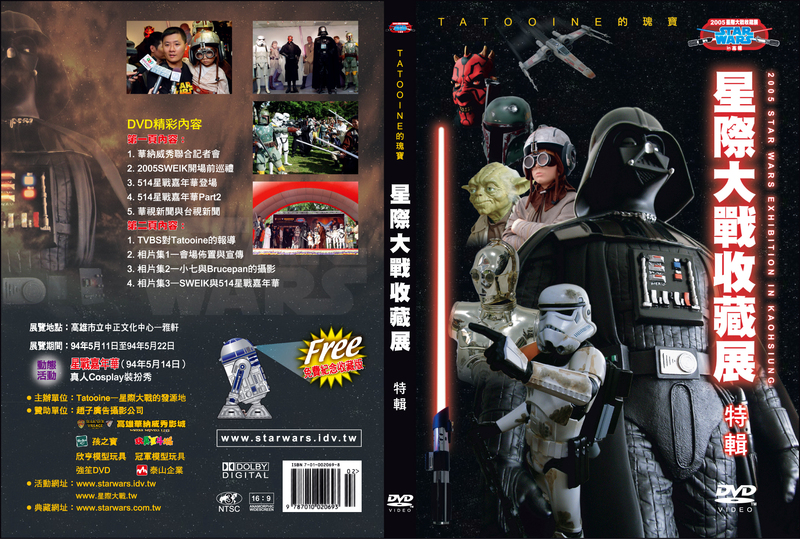 What is the most important in “Joyous Festival of Star Wars” is certainly Cosplay!! But visitors who just attend without making up for Star Wars roles are still welcome. The gifts and prizes for Cosplay and contest are limited. 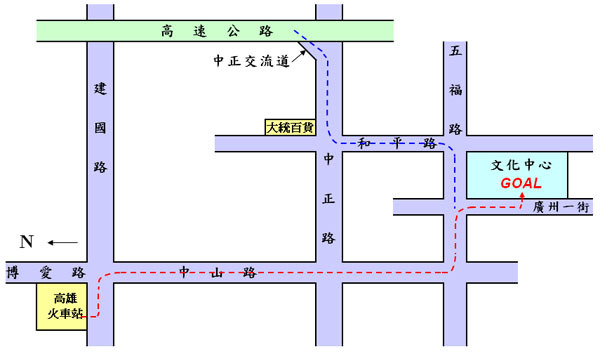 So, if you want to take official part in these two activities, please register quickly!! 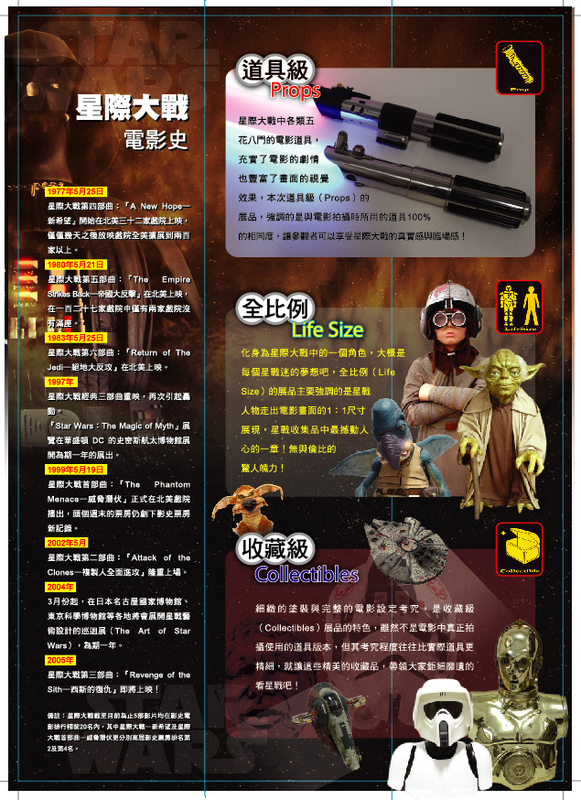 Registration email: 2005sweik@starwars-tw.com, Hot line: 0931771586. PS1. The costume requirement of Star Wars Cosplay is loose. Costume made by who’s self will be also welcome. PS2. It is not restricted to who attend to “Who is the master of Star Wars?” to Cosplay or not. There will be one randomly kind of name cards for free asking in each day during the period of exhibition. There are 6 types of name card totally. A special type of name cards will only be free asking on 2005-5-14!! 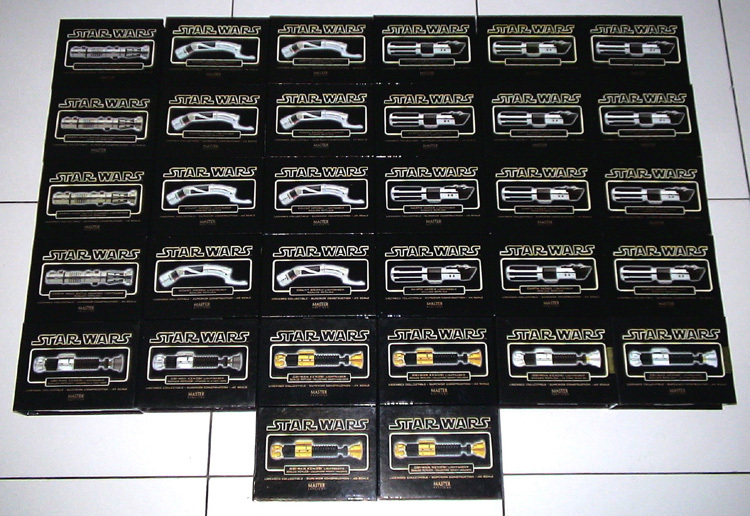 Collect them all!! 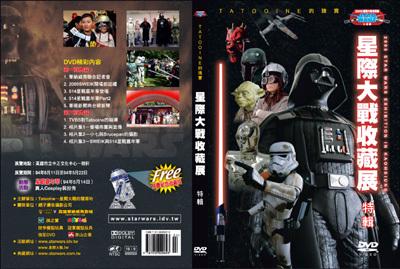 It will be the best certificate of that you ever join the Star Wars celebration activities in Taiwan!! 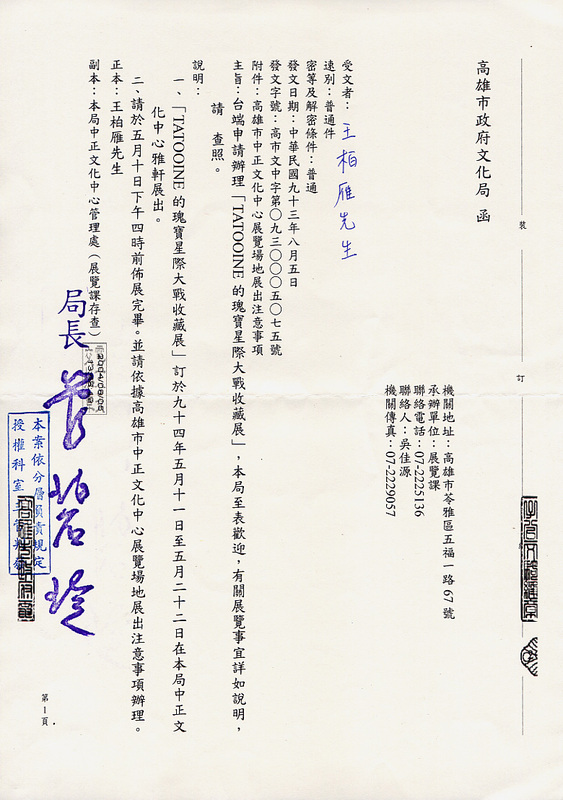 Do you have any hope, question, suggestion, inspiration about this exhibition? All what you want to say, you can post in Forum of 2005SWEIK! You can leave message without register. User name：Guest，Passworld：Guest.